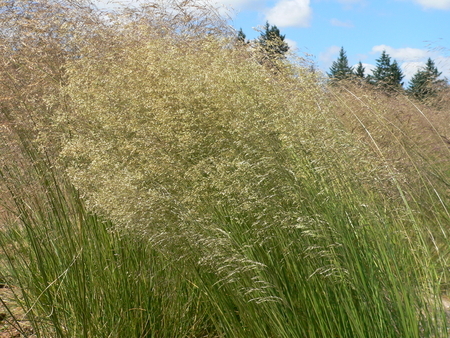 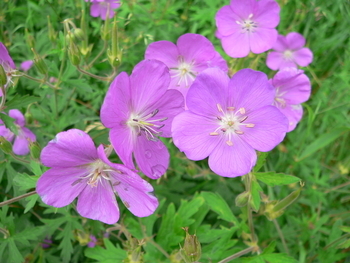 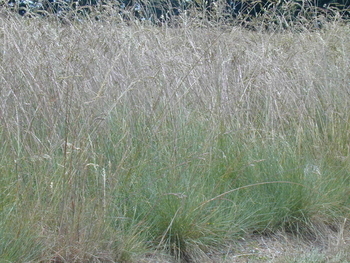 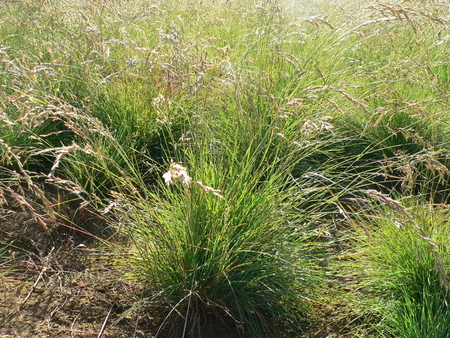 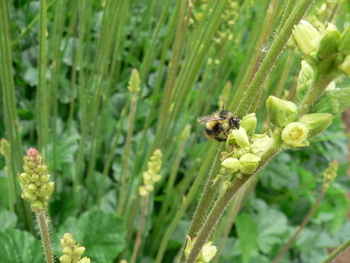 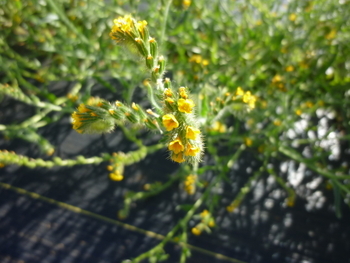 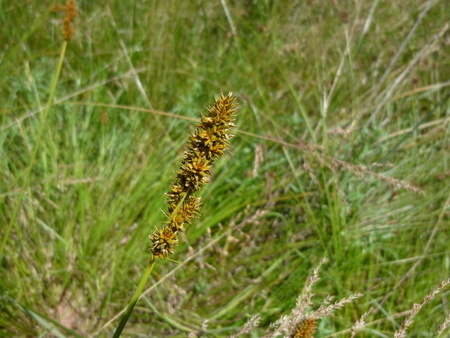 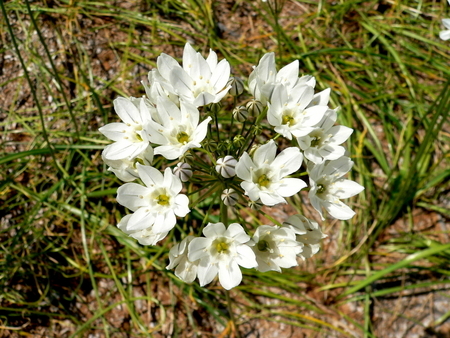 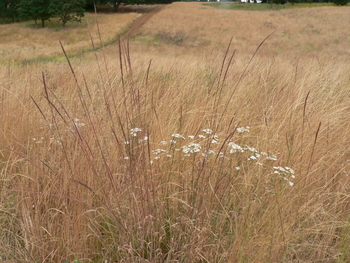 Medium-height bunch grass with thin, blue-green leaves, flowers in soft, tufted spikes, 3-4 ft in flower. Forms of pine-bluegrass can be found on dry, rocky bluffs as well as wet prairies. 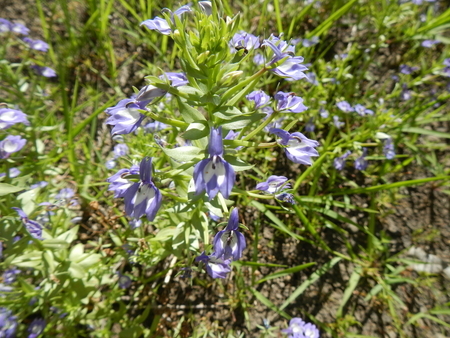 Showy, white lily flowers penciled with blue are clustered on slender stalks. 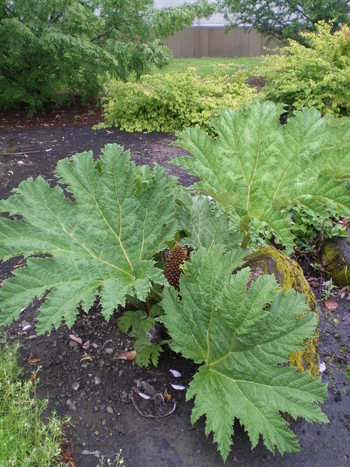 1-2 ft tall. 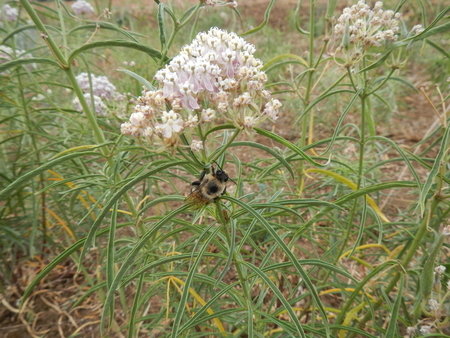 Grows in both wet and dry prairies. 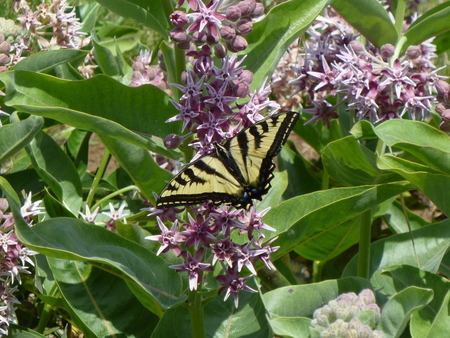 Nectar species for Skipper and Checkerspot butterflies. 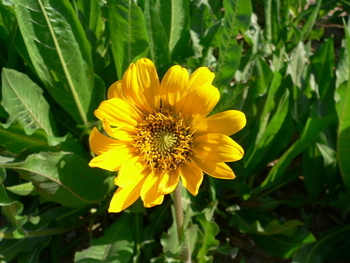 Very showy, large yellow flowers (sunflower family), large expressive leaves (aka "mule's ears"). 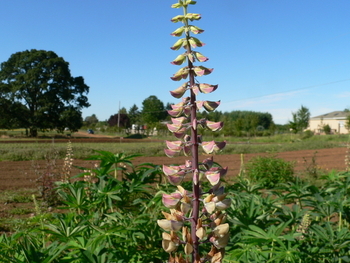 The seeds are large and attract goldfinches at the height of summer. 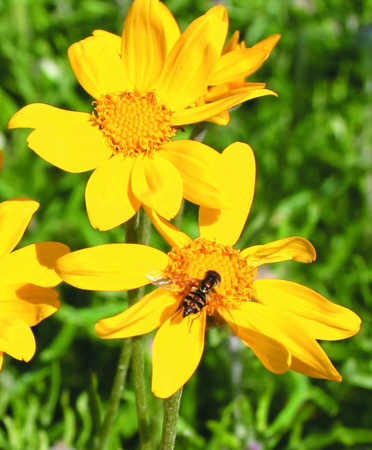 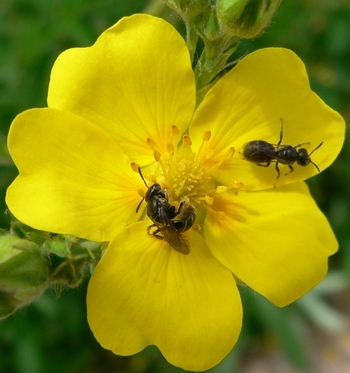 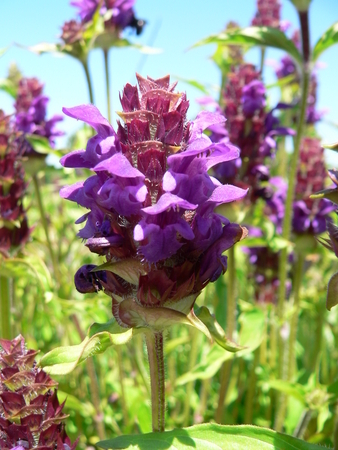 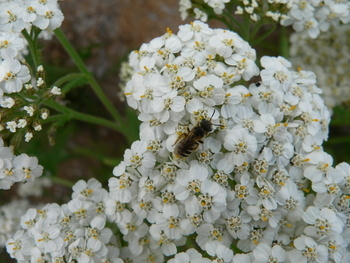 Nectar species for Field Cresent butterflies.